India Inc is inadequately covered for business-related risks. 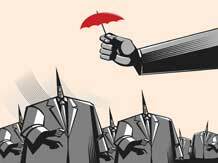 A survey conducted by ICICI Lombard said that revealed that despite being aware, companies have taken insurance coverage for only a few risks. Group medical insurance and group accidental insurance is the most common cover.